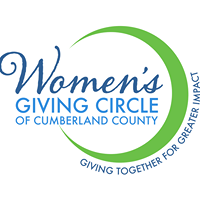 Contribute to the Women's Giving Circle of Cumberland County today. Make a gift from your estate and help women and their families every year, forever, through Women's Giving Circle of Cumberland County Endowment at Cumberland Community Foundation. Examples of estate gifts include designation as a beneficiary of an insurance policy or investment accounts (such as an IRA, 401K, brokerage, or other accounts), designation in a Charitable Remainder Trust, or a simple gift in the donor’s will. as an addition to the Women's Giving Circle of Cumberland County Endowment of the Foundation. This irrevocable gift shall be held, administered and distributed by the Foundation for charitable purposes of the Women's Giving Circle of Cumberland County. Cumberland Community Foundation, Inc. does not provide legal or tax advice. These are examples only. Please consult your own legal advisor.